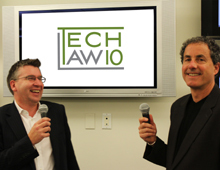 TechLaw 10 hosts Jonathan Armstrong and Eric Sinrod discuss legal issues related to information technology. In this week’s TechLaw10 Jonathan and Eric look at the general data protection regulation (GDPR) and the UK’s proposed new data protection legislation. They focus specifically on the new criminal offences which the UK legislation will create. They talk about the likely consequences for corporations outside of the EU – particularly in the US and the likely impact on data processors. They also look at the likelihood of the maximum fines being levied. You can find out more about this topic in our alert from 7 August here: www.bit.ly/ukgdpr.